Vinicius Junior revealed he chose the "best project" when opting for Real Madrid over Barcelona. The Brazilian forward, 18, signed for LaLiga giant Madrid in May 2017 before officially making the move from Flamengo in July last year. Vinicius said Barca had offered him more money, but his decision was based on what he felt was a better move. "My father never told me of interest until Barcelona and Real Madrid," he said. "Then we visited both clubs and liked them both. "Barcelona wanted to pay more, but we wanted the best project and Marcelo and Casemiro spoke to me and helped me decide." Vinicius suffered an ankle injury earlier this month and is set to be sidelined until May in a blow for Madrid. 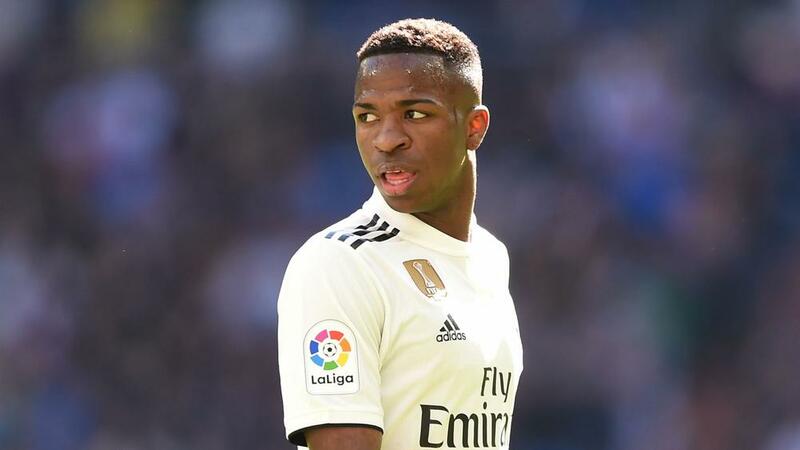 The teenager must wait to feature under Zinedine Zidane, back at the helm after replacing Santiago Solari, and Vinicius said he could already see the differences between the two coaches. "Casemiro told me that, when Zidane spoke, he would get a bit nervous," Vinicius said. "It is quite different how Zidane speaks compared to Solari. He is a legend, he won everything and he is special. "To me, he said to be calm about the injury in order to return stronger."